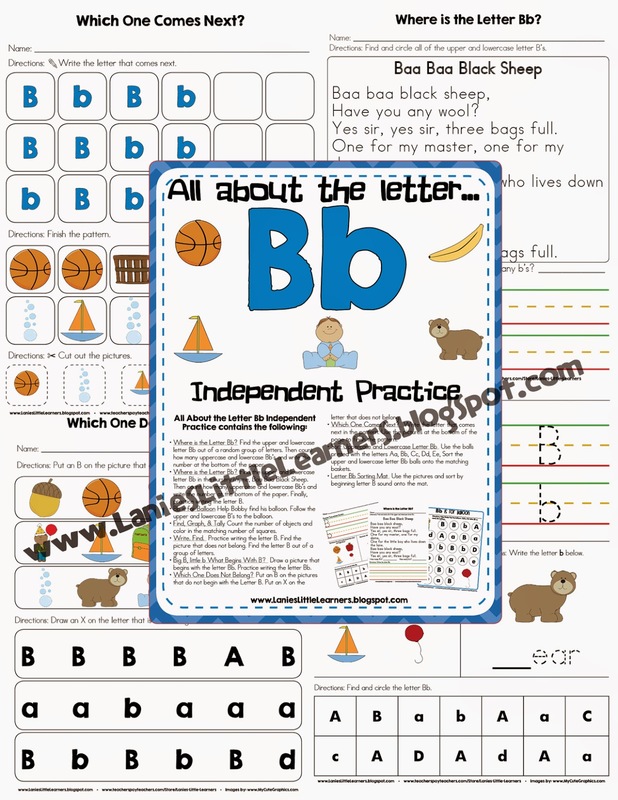 The All About the Letter Bb Independent Practice Packet is the perfect accompaniment to the All About the Letter Bb SMARTBoard Activity. I have used a variety of the activities in both whole and small group instruction. Where is the Letter Bb? Find the upper and lowercase letter Bb out of a random group of letters. Then count how many uppercase and lowercase Bb’s and write the number at the bottom of the paper. Where is the Letter Bb? Find the upper and lowercase letter Bb in the nursery rhyme, Baa Baa Black Sheep. Then count how many uppercase and lowercase Bb’s and write the number at the bottom of the paper. Finally, practice writing the letter B.
Bb is for Balloon Help Bobby find his balloon. Follow the upper and lowercase B’s to the balloon. Find, Graph, & Tally Count the number of objects and color in the matching number of squares. Write. Find. Practice writing the letter B. Find the picture that does not belong. Find the letter B out of a group of letters. Big B, little b What Begins With B? Draw a picture that begins with the letter Bb. Practice writing the letter Bb. Which One Does Not Belong? Put an B on the pictures that do not begin with the Letter B. Put an X on the letter that does not belong. Which One Comes Next? Write the letter that comes next in the pattern. Use the pictures at the bottom of the page to finish the pattern. Sort Uppercase and Lowercase Letter Bb Use the balls printed with the letters Aa, Bb, Cc, Dd, Ee, Sort the upper and lowercase letter Bb balls onto the matching baskets. Letter Bb Sorting Mat Use the pictures and sort by beginning letter B sound onto the mat. Directions: Print Sort Uppercase and Lowercase Letter B and the Letter Bb Sorting Mat on cardstock and laminate for durability. APL2.4a Demonstrates eagerness to learn about and discuss new topics, ideas and tasks. APL1.4a Takes initiative to learn new concepts and try new experiences. Initiates and completes new tasks by himself/herself. CLL1.4a Listens and responds on topic to conversations and group discussions for an extended period. CLL1.4b Listens to and follows multi-step directions. CLL1.4c Extends/expands thoughts or ideas expressed. CLL6.4c Isolates the initial (beginning) sounds in words with adult guidance. CLL7.4a With prompting and support, recognizes and names some upper/lowercase letters of the alphabet. CD-MA4.4b Sorts and classifies objects using one or more attributes or relationships. CD-MA4.4c Creates and extends simple, repeating patterns. CD-MA2.4b Counts at least 10 objects using one-to-one correspondence. CD-CP3.4b Uses both familiar and new strategies to solve a problem. CD-CP3.4c With adult guidance and questioning determines and evaluates solutions prior to attempting to solve a problem. If you have any suggestions and/or comments to make this learning packet better, please feel free to email me at: lanieslittlelearners@gmail.com. If you find a mistake or typo in the packet, please email me at: lanieslittlelearners@gmail.com so I can fix the error and send you a revised packet. 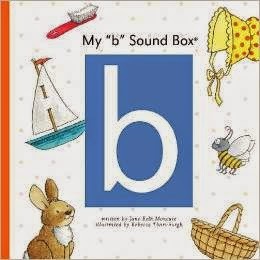 In My "b" Sound Box, "Little b" looks for items that begin with the letter B to collect in her sound box. The book has repetitive text, word/picture correspondence, and improves vocabulary. I have bought the Kindle version of the book to project on the SMARTBoard. The kids love coming up and looking for objects that begin with the letter B or helping me turn the pages. Bear loves to blow bubbles. But when Badger tries to spoil Bear's fun, he blows a bubble you won't believe! 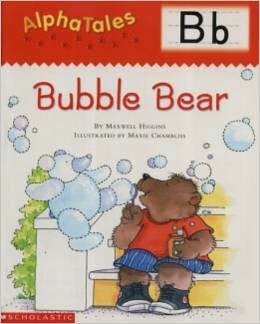 Teach the letter B with this bubbly, kid-pleasing tale. This book is a favorite among my students. We read this book at the beginning of the year. We acted out the book by printing large character cards. I divided the class in half. One half was the actors and the second half were the audience. Then the class switched roles. We also wrote a class book based on the repetitive phrases in the book entitled, Ms. Hampton, Ms. Hampton Who Do You See? Even though we are half way through the school year, this book is still popular in our classroom library. 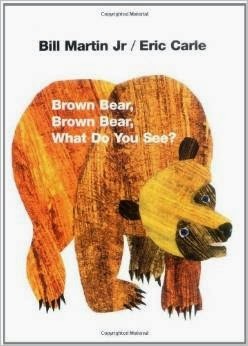 BUY>> Brown Bear, Brown Bear What Do You See? Christmas Break >> New Activities!